It’s great that you understand importance of hanging ab straps for developing strong and appealing ab muscles. It is a very wise decision to go for the best of that lot since you are literally going to trust your life with the strength of said ab straps. We are going to keep this short and simple as these straps don’t require much explanation. It’s appropriately short to grab the bar while your arms rest on the straps. This gives you an an added advantage to avoid rocking or swinging while trying to control your leg / knee raises. It does not complain with weakening noises while holding the tension for high rep ranges. The stitch design is meant for human beings unlike the other ab straps we noticed online. Not all gym equipment have to look or feel rugged. It can be soft and comfortable to enjoy the workout – especially for those who bruise fast like us. The material is sweat resistant. This has to be obvious otherwise this product would be a total failure. 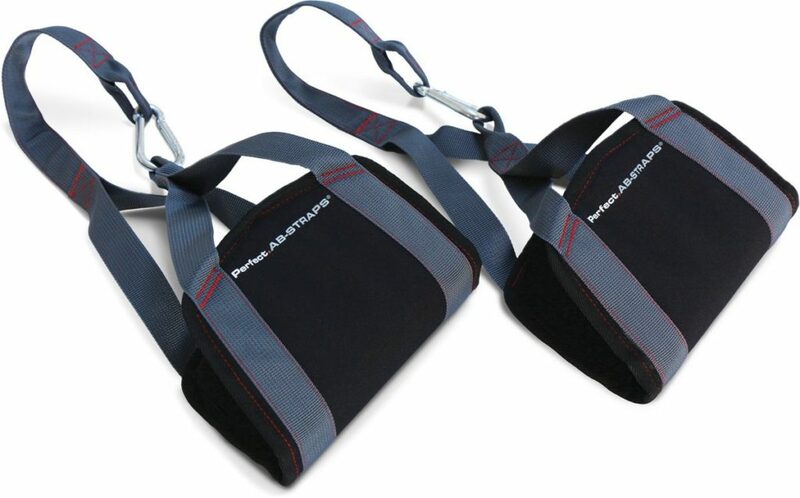 People who are heavy or tall may find it uncomfortable to use the recommended Perfect Fitness Ab Straps recommended above. Dmoose Fitness is also a wonderful hanging ab strap for respective individuals. The straps are long enough and padded well for comfortable use. We’ve received many emails suggesting that the Perfect Ab Straps is not a friendly equipment for people who are short or ones with shorter arms. We hope you enjoyed our recommendations on the best hanging ab straps.